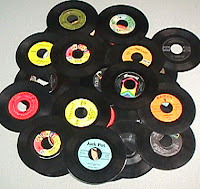 Hey, I've done selections from the 60s, 70s, 80s, 90s and today. I think this one goes back to '63, but it seems earlier than that. Growing up, I only knew Julie London from the show Emergency. Ohhhh.....Dixie McCall, R.N., you really helped out Randolph Mantooth when he needed advice on a saline IV with D5W, sometimes with lactated Ringers, sometimes not. Then of course, she was married in real life to one of the doctors on the show, Bobby Troup, who as my parents educated me, wrote the song "Route 66". Oddly enough, they never mentioned that Julie London was a singer. Clearly, as I matured (as if! ), I found about her singing "Cry Me a River" and other such songs that would become standards. She had a great voice and a way with phrasing and style. London did the kind of songs that Diana Krall would cover and end up sucking the life out of. Krall has her time and place for sure, but it never quite worked with London's songs. But one you all might like, is the easy going, very light jazzy-pop song, "Love Must Be Catchin'". It's actually quite good. It is not available on iTunes but some horrid remakes are. Funny, my brother and I watched Emergency all the time. He was in love with Dixie and would go on and on about her. I could never understand this as I could not take my eyes off of all the men. Julie London is BRILLIANT. Tommy's dad had several CD's of hers which we now own upon his death. She really was quite talented.